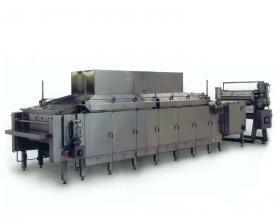 Mach-IV and Mach-VI Ovens range in size, production capacity and throughput for full-scale industrial manufacturing of corn tortillas and tortilla chips. 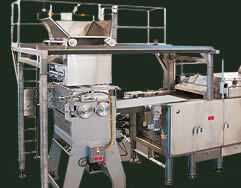 The Mach-IV and Mach-VI Ovens can be custom configured with Magna254 or Magna305 sheeters fed with masa pump or presheeters, and transfer to Incline or Flat Bed Conveyors. Proportional mix Air/Gas combustion system with an efficient 9:1 ratio. Automatic triple temperature control, one per deck. (Optional: Three Infra Red temperature sensors per deck for LCR control). Belt tracking tension by way of balancing counter weights. Double wall insulated hinged doors provide energy savings and minimize heat dissipation into work areas. Double wall insulated motorized hood. Lift system for inspection and cleaning. 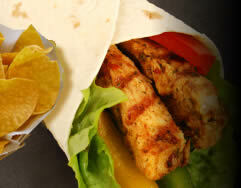 Heavy duty commercial carbon steel or stainless steel frame. Easy access to combustion controls. Ultra-violet flame sensors, magnetic valves, auto pilot ignition. Corn Tortillas: Up to 4,000 Dozens per hour. 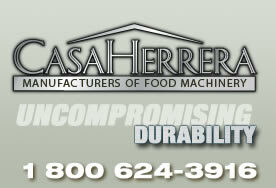 Tortilla Chips: Up to 2,500 Pounds per hour. Corn Tortillas: Up to 7,000 Dozens per hour. 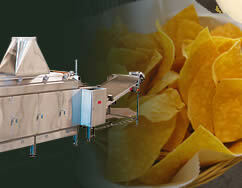 Tortilla Chips: Up to 5,000 Pounds per hour (10,000 Lb/H with dual system).